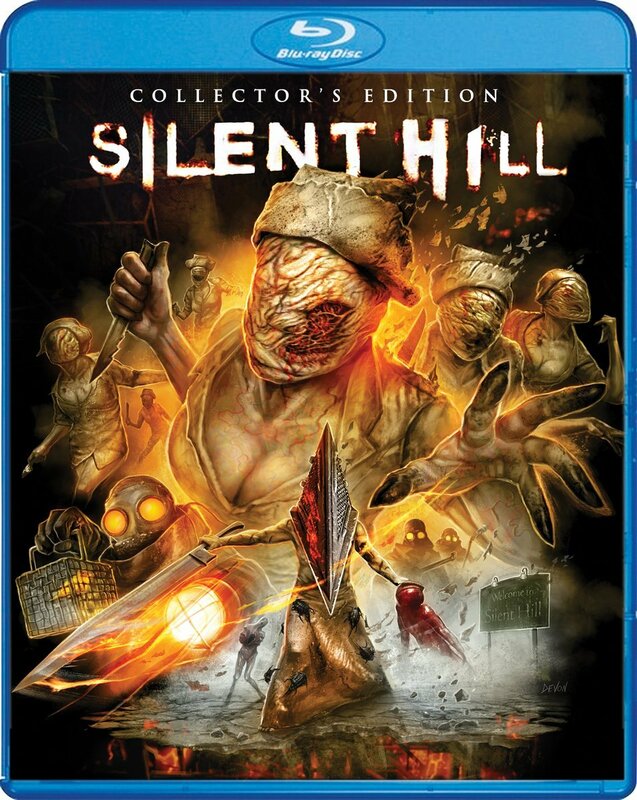 The Movie Sleuth: News: Silent Hill Coming to Scream Factory Blu-Ray! News: Silent Hill Coming to Scream Factory Blu-Ray! Back in 2006 when the blu-ray disc format was still in it’s infancy, Sony Pictures released a string of first-generation titles to help roll out the format to customers. Among them was director Christophe Gans’ 2006 unorthodox yet celebrated and visually lush videogame-to-film adaptation Silent Hill. Loosely based on the hit Konami survival horror videogame series from an original screenplay co-written by Gans and Quentin Tarantino collaborator Roger Avary, Silent Hill as a film is among the most faithful and closest to the source videogame-to-film adaptations ever attempted. Relying heavily on real sets and actors inside costumes with CG rendering kept to a minimum, the filmmakers even went as far as using all of the music from the games composed by Akira Yamaoka instead of commissioning an original score. While the film gets some of the lore and mythology of the series wrong, trying to explain much of the strange phenomena in the series logically rather than psychologically as with the games, it gets the look, feel and tone of the games absolutely correct with some truly astonishing set pieces and innovative practical effects work. Despite a rough critical drubbing, the $50 million film became a bona-fide box office hit, taking in nearly $100 million at the box office and cementing it’s place in film history as an example of a videogame-to-film adaptation done right. Which makes the early first-generation blu-ray release from Sony Pictures somewhat perplexing and sad. Unlike the DVD counterpart released alongside it which had a fair amount of behind-the-scenes extras entitled Path of Darkness: Making ‘Silent Hill’, the blu-ray is as bare bones as they come. While sporting a very strong LPCM 5.1 surround soundtrack, the image quality is somewhat disappointing given the scale of the production and the absence of any extras is unacceptable. I kept my DVD housed in my blu-ray case if I ever felt like viewing the extras again but suffered through the otherwise lackluster first generation blu-ray disc for years. Yesterday however, the good folks at Scream Factory announced the film’s poor rollout on blu-ray disc is ready for a long-awaited makeover. 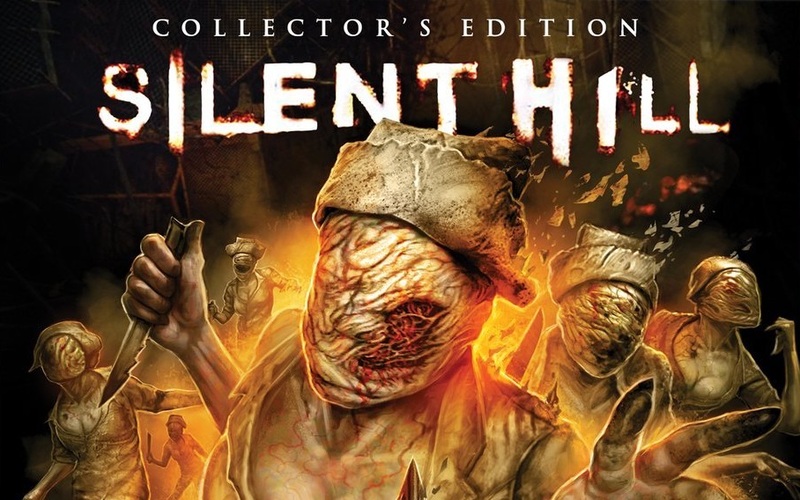 Announced as part of their Collector’s Edition line with extras still being finalized, Scream Factory announced on July 9th they will in fact be releasing a 2-disc collector’s edition of Silent Hill with the full participation of director Christophe Gans! With rumors circulating for years of both an uncensored, gorier cut of the film and/or a rough-cut spanning nearly three hours, one can only imagine what will or will not be included in this set. Given it’s being spread on two-discs and with the checkered journey the film took to reach the silver screen, this is looking to be a fairly-stacked special collector’s edition set! As a longtime fan of the videogames and avid admirer of the 2006 film in spite of the narrative problems, this is very exciting news! Stay tuned for further developments as Scream Factory moves closer to bringing this underrated gem the elite treatment it finally deserves!